We are a non-profit organization dedicated to the love of motorsports in all sizes and shapes. 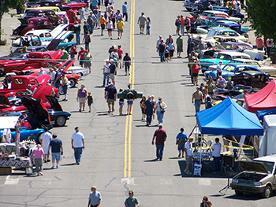 This includes hot rods, vintage collector cars, race cars, trucks, motorcycles, tractors and more. Whether you own one yourself or just love to look at them this just might be the group for you! 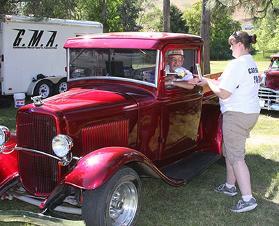 Goldendale Motorsports Association hosts a Show ‘n Shine car show on Saturday during Community Days. This years’ show is on July 6 on Main Street in downtown Goldendale. Goldendale’s Community Days celebration is July 5-7, 2019. 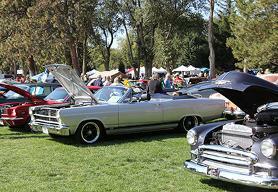 Our Concours de Maryhill Open Car Show is held the first Saturday in October each year. The show takes place on the beautiful grounds of the Maryhill Museum of Art.